Richmond, VA has an up and coming Free Art movement entitled the "Real Small Art League". The league is headed by a gal named Tiffany Glass Ferreira who has a unique approach using google maps to track free art pieces. 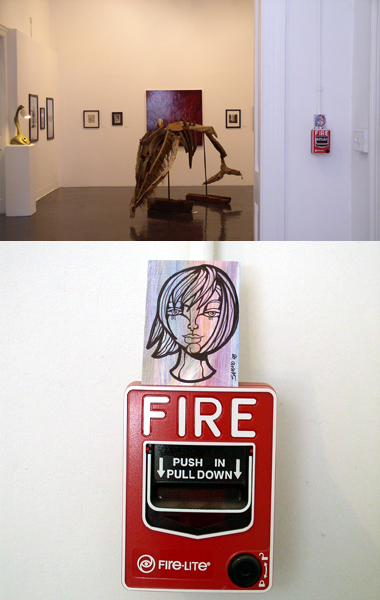 A number of months ago she placed some of my pieces in unique spots around Richmond, VA. One of those unique places happened to be the VCUArts Anderson Gallery.